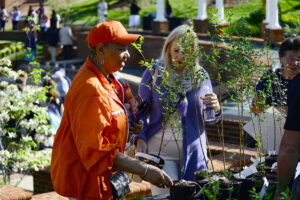 HIGH POINT, N.C., April 23, 2015 – High Point University hosted a community celebration today for Arbor Day, a national holiday that encourages groups and individuals to plant and care for trees, at the David Hayworth Park. 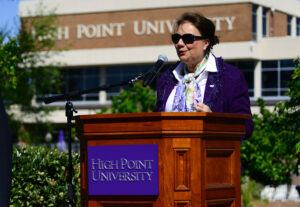 The photo features HPU First Lady Mariana Qubein, who has spearheaded the arboretum and gardens on campus, speaking at the Arbor Day celebration. 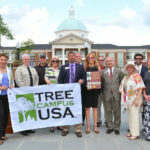 HPU was presented with the Tree Campus USA designation by Nancy Blackwood, service forester with the North Carolina Forest Service, at the event. 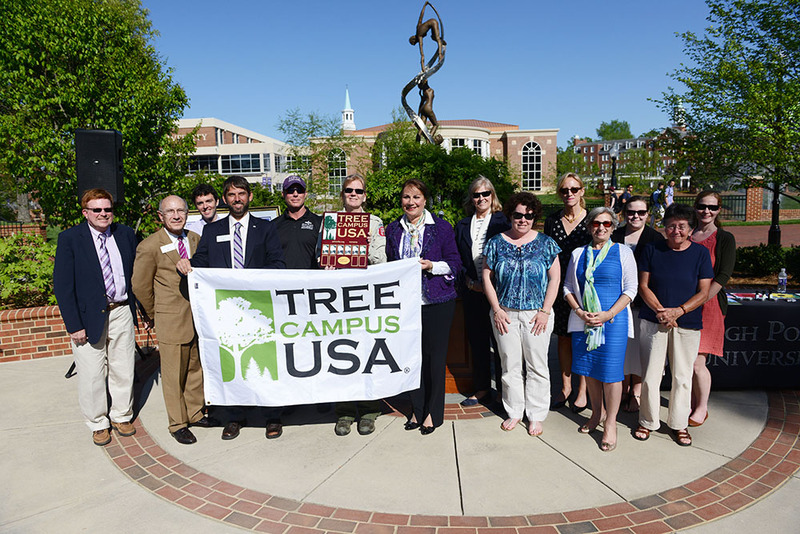 This marks the sixth consecutive year that the university has been honored as a Tree Campus USA. Originating in 2008 from a partnership between the Arbor Day Foundation and Toyota Motor North America, the program is designed to recognize college campuses for promoting healthy urban forest management and engaging the campus community in environmental stewardship. 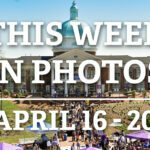 HPU is one of eight campuses in the state to receive the award. 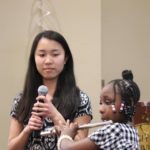 Attendees of the Arbor Day celebration were given a Japanese snowbell, or “Styrax japonicas.” Music was performed by the HPU Flute Ensemble. 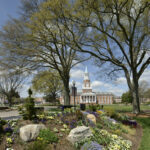 Beginning in 2006, HPU First Lady Mariana Qubein began the development of the Arboretum and Botanical Gardens on campus with a mission to beautify the HPU campus and preserve the environmental surroundings using what God has provided. Now covering 380 acres and expanding every year, the HPU campus boasts 24 gardens, 350 different types of trees and 50,000 flower bulbs. As many as 38,000 new plants have been added during the past year on the campus, which boasts 400 taxa of trees. One of this year’s largest additions is the Reflecting Pool behind Roberts Hall, which has transformed a small parking lot into a serene gathering place. 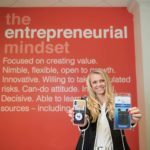 Recently, the website Best Counseling Schools named The Chapel and Meditation Garden on campus as one of the 50 Best Campus Meditation Spaces in the country. 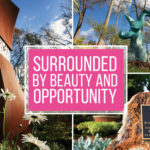 During the ceremony, HPU professors discussed how the gardens helped enhance their class assignments, including providing a non-traditional classroom setting for art students in a site-specific sculpture class, as well as teaching biology majors how to identify different plant life. Arbor Day originated in 1872 in Nebraska City, Neb. by J. Sterling Morton.